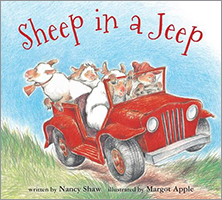 Nancy Shaw is the author of seven beloved tales featuring the endearing and comical sheep. She came up with the idea for the sheep books during a very long car trip with her husband and two children. She lives in Ann Arbor, Michigan with her family.